In this article, I’ll explain the steps to get AR Remote running on Google ARCore. For reference: “Pirates Just AR” also posted a helpful short video on YouTube. 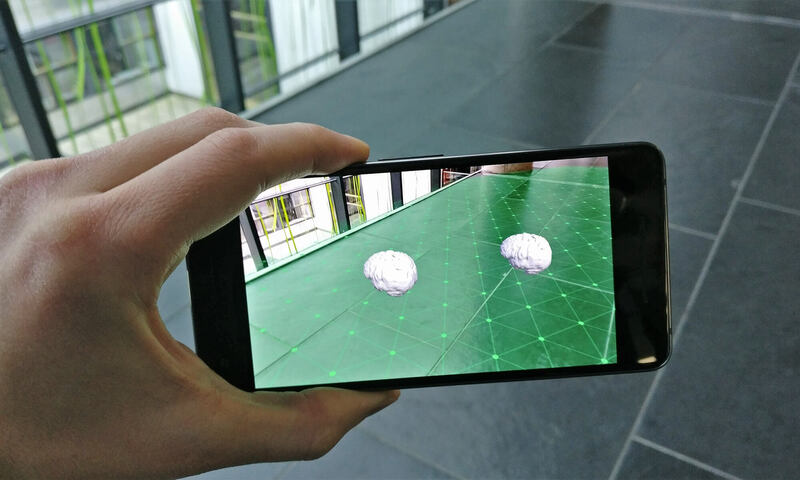 To explore AR Remote Interfaces, create a new project with the latest version of Unity. I’m using Unity 2018.1 Beta 6. All versions starting with Unity 2017.3.0f3 are compatible. Even though the APIs & tools might be integrated with Unity soon, right now you still need to clone Unity’s experimental-ARInterface GitHub repository. You currently need both the Google and Apple SDKs even if targeting only one platform. The common UnityARInterface contains references to both. The ARInterface repository includes copies of the platform SDKs (ARCore & ARKit), making it more convenient for you. Alternatively, you could get those SDKs directly from the manufacturers – it’s the same code. The Google ARCore Unity SDK is on GitHub. The Unity ARKit Plug-In is on BitBucket and in the Asset Store. The next step is to get the remote app running on your Android device. The app captures the camera + sensor data and streams it to the Unity Editor on the PC. Make sure your Android phone is compatible to ARCore and install the pre-requisites beforehand. Open the demo scene for the remote app: Assets > UnityARInterface > ARRemote > RemoteDevice.unity. This contains the necessary code to send the live sensor data from the capturing device. 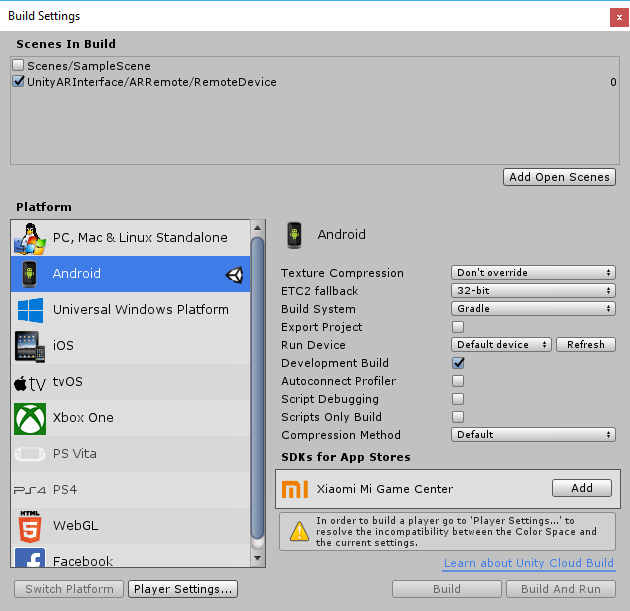 Now, configure the project for Android. Go to File > Build Settings… Select “Android” and click on “Switch Platform”. Make sure the RemoteDevice scene is being deployed – click on “Add Open Scenes”. Disable the “Sample Scene” for the build. Everything’s ready! Build & Run your app. It’s just a pink screen, waiting for a connection with your Unity PC. What AR Data does the Phone Send? 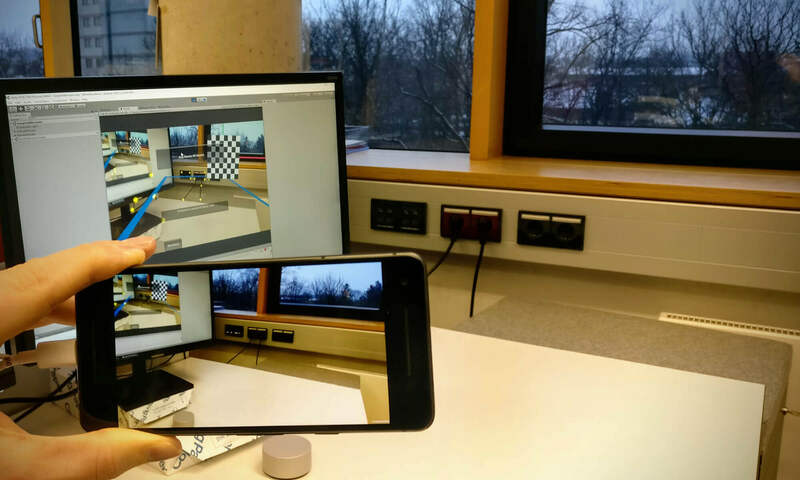 Once the remote app is up and running on your phone, open an AR scene in the Unity Editor. This scene should receive live data from your phone. The sample project is a good starting point. Open: Assets > UnityARInterface > Examples > SimpleARScene. 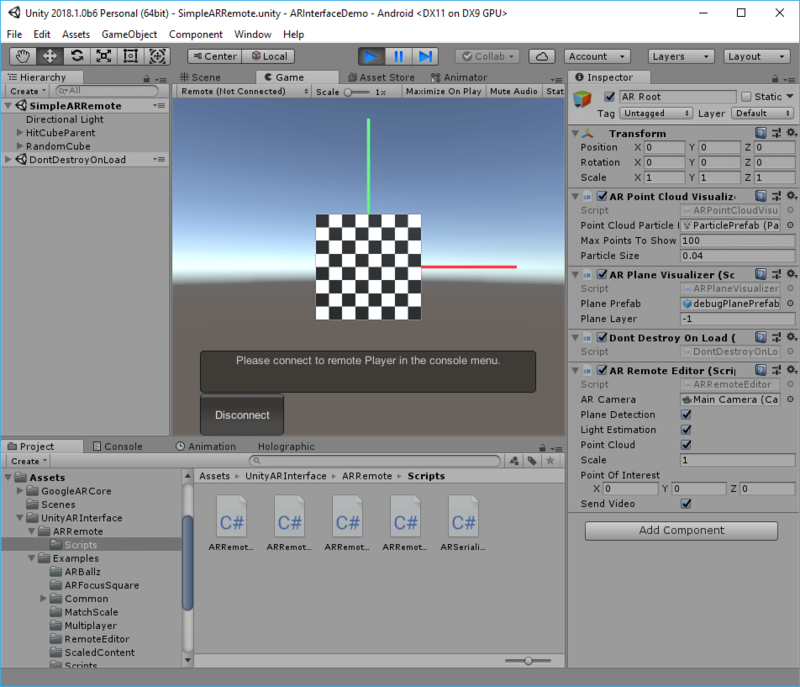 Within its “AR Root” game object, it includes the “ARRemoteEditor” script. This is the counterpart of the “ARRemoteDevice” script we analyzed before. It subscribes for incoming messages sent by the remote device. Via implementations of the abstract ARInterface.cs class, the messages are then forwarded to the respective SDK. This could be an implementation for ARKit or ARCore; in our case, it’s AREditorInterface.cs, as we’re running the app in the Unity Editor. Both the Unity Editor and the phone are now waiting for the connection. The trick is: switch the “Connected Player” menu in the “Console” window to your connected Android phone. By default, the drop-down is set to “Editor”. This setting specifies the target for transmitting profiling and log data. Once this is ready, both the phone and the Unity Editor recognize the connection. You only need to click the button “Start Remote AR Session” in the Unity Editor. 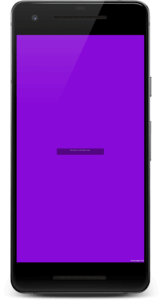 Make sure you set an aspect ratio in the top left of the “Game” window that corresponds to your phone screen aspect ratio. 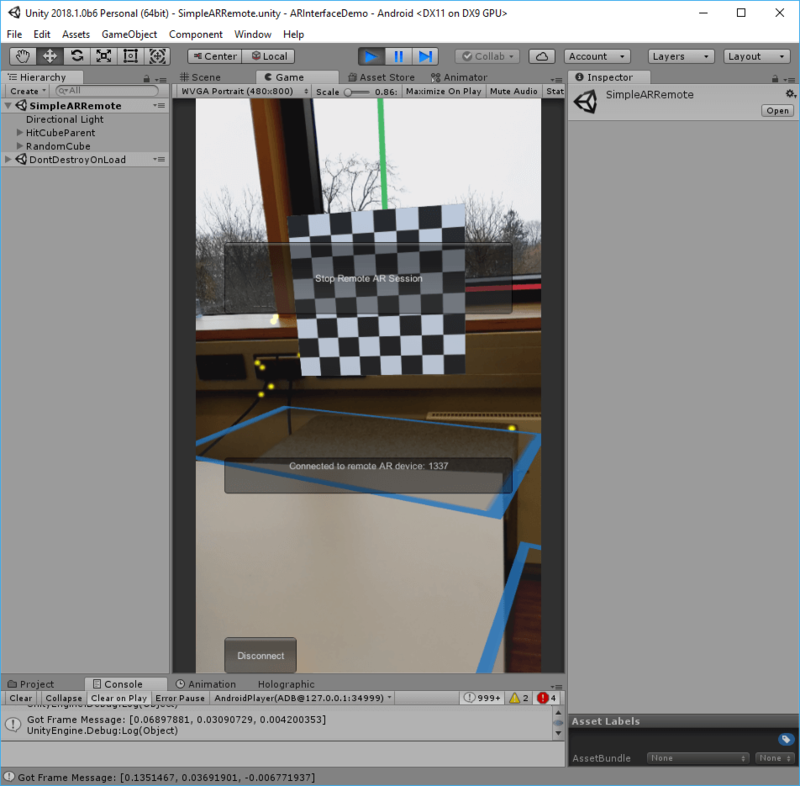 In the Unity Editor, you see the live camera image from your phone. In this example, detected planes are shown in blue and point clouds yellow. What’s going on behind the scenes? The SimpleARRemote sample scene has the “ARRemoteEditor.cs” script attached to the “AR Root” game object. Here, I added the Debug.Log() call to deserialize the incoming message and to extract the transmitted camera position. In the actual interface implementation for the Unity Editor, the values are then applied to the run-time environment. It will be interesting to see how the experimental ARInterface from Unity evolves. As the individual frameworks from Google and Apple get more powerful, it needs to keep up. Plus, it’d be great to see HoloLens support added sooner or later. Unity’s ARInterface is an important first step and will help getting more cross-platform AR experiences to end users!